Sasuke explains to Naruto that, based on Itachi’s way to protect the village from the shadows, a Hokage is an individual who takes on the world’s hatred for the greater of the good. Sasuke decides to kill Naruto to erase the past but Naruto refuses to let him. They begin their battle with taijutsu before Naruto enters Tailed Beast Mode and Sasuke uses Susanoo to go on the offensive. 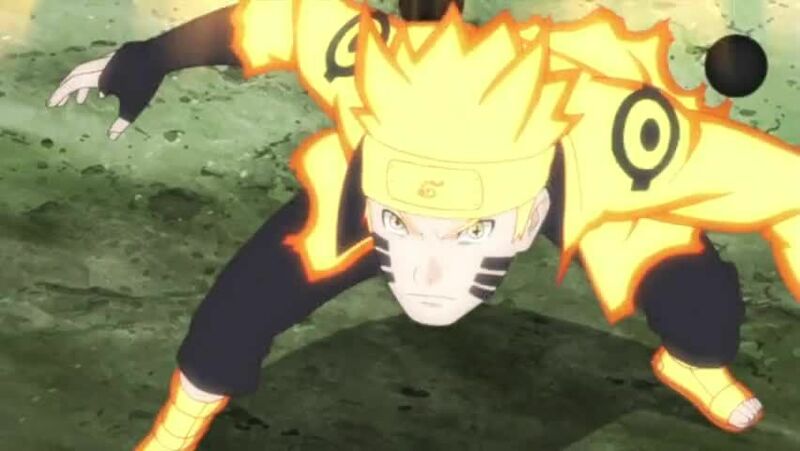 As the trade blows and mentally connect, Naruto points out the Kage are finally united but Sasuke retorts that is because they had common enemies and will go back bickering now that that’s over, and he will be able to control the world as he deems appropriate. Gaining the upperhand, Sasuke mocks Naruto for being defensive and lacking killing intent, but Naruto says he doesn’t want to kill him. As Hahoromo starts to disappear, Kakashi asks what should he do and Hahoromo asks him to continue having faith in his students. Sasuke uses chakra from the imprisoned tailed beasts and draws it into his Susanoo similar to the Gedo Statue. 5 / 5 - 62 ratings.